Hudson's Bay has a new Lancome Free Summer Gift with Purchase on now! 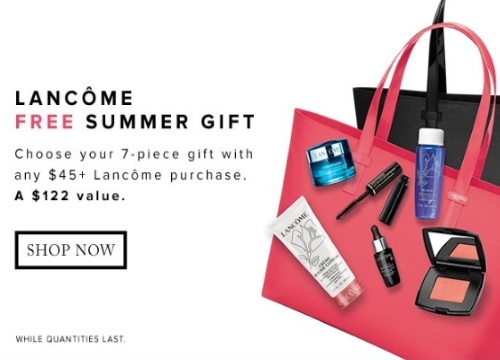 When you spend $45+ in Lancome products you will get a Free 7-piece gift (a $122 value)! Offer is available while quantities last. Click here to browse Lancome at Hudson's Bay.